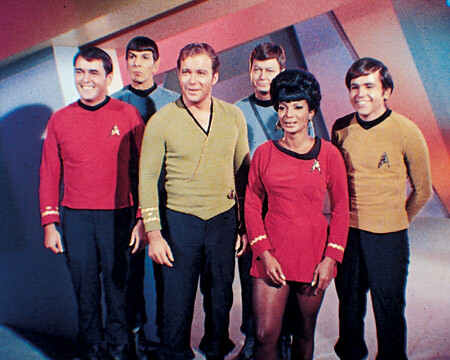 The series survives network cancellation, awful costumes, different writers and directors, "Scotty, I need more power," plot changes overly dependent on the space-time continuum, and on and on. Yet the story line has been resonating for decades. So beam me up and answer: what's the fundamental basis of its appeal?